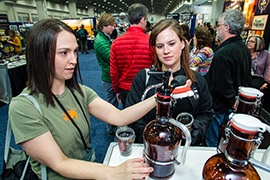 The Brewers Association is committed to providing resources to help foster sustainable practices in members’ companies, as well as host a green CBC. 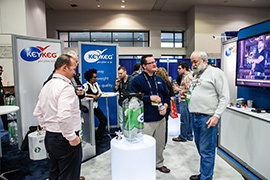 Minimizing waste in BrewExpo America® is crucial to greening the event. Exhibitors have been asked to make a commitment to sustainability (and provided the resources to do so) and have a pack-in, pack-out mentality. Collection bins are available during set-up and tear-down to recycle cardboard, plas­tics (including shrink wrap) and the like. Place materials in front of your booth to be hauled off. Whenever possible, Freeman Exhibit Services will reuse materials, including signage, carpeting and pallets. ZeroHero coordinates landfill diversion efforts during set-up and tear-down, as well as manages recovery on the docks to direct materials to various waste management centers. Recyclable #1 plastic cups are avail­able throughout all areas, including beer stations, hospitality suites and seminars. Place these in the single stream recycling bins throughout the venue. Please use your commemorative glass provided by sponsor Chrislan whenever possible!